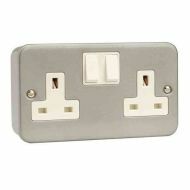 We keep standard UK 13 Amp socket outlets and also the older style round pin 2, 5 and 15 Amp sockets. 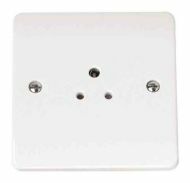 Click CMA035 1 gang (single) switched 13 Amp / 13A plug socket outlet. Double pole switch for extra safety. 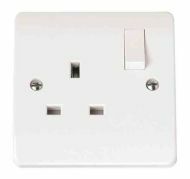 1 gang unswitched 13A plug socket outlet. 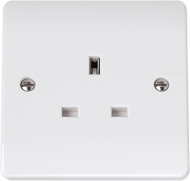 Made to the British standard BS1363. With mounting screws. Converts a single 13A socket outlet to a double socket by replacing the existing single plug socket. 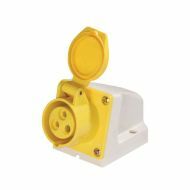 Click CMA034 round pin 15 Amp / 15A socket. 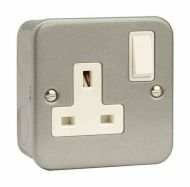 Old style socket, suits 15A BS546 plug tops (also available in our store). 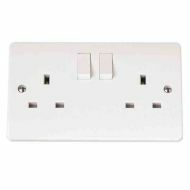 Click CMA036 2 gang (double) switched 13 Amp / 13A plug socket outlet. Double pole switches for extra safety. 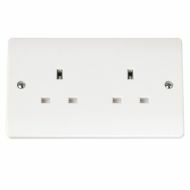 2 gang (double) unswitched 13A plug socket outlet. 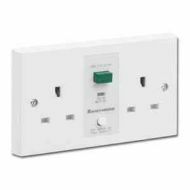 Made to the British standard BS1363. With mounting screws. 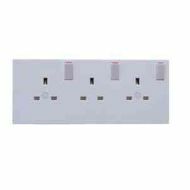 Eliminate the need for bulky chargers and free up your plug sockets with this 2 gang switched 13A socket with integrated USB. 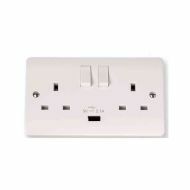 USB output : 5V 2.1A. 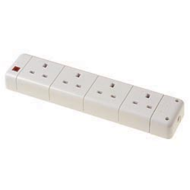 Converts a double 13A socket to a triple socket by replacing the existing double plug socket. 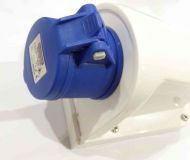 10A 2 pin in-line connector, very popular item for lawnmower / hedge clipper leads. Quick pull apart, push together operation. 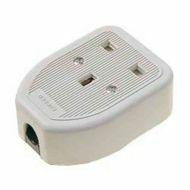 Round pin 2 Amp / 2A socket. 3 pin 10A inline connector. Quick pull apart, push together operation. 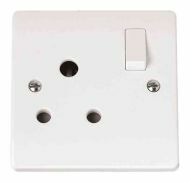 Round pin 5 Amp / 5A socket. 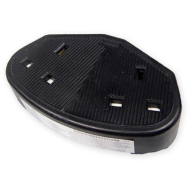 1g sized shaver socket with safety isolation transformer. 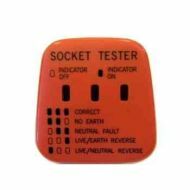 115 and 230 Volt output. 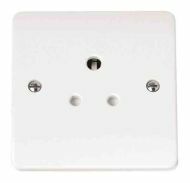 Bathroom shaver socket 2G (vertically mounted). Needs a deep 47mm box behind the socket to accommodate the safety isolation transformer.